The verdict on Wayne Hennessey’s ‘Nazi salute’ escapade is in and, as per the FA disciplinary panel, the Crystal Palace goalkeeper is not guilty. 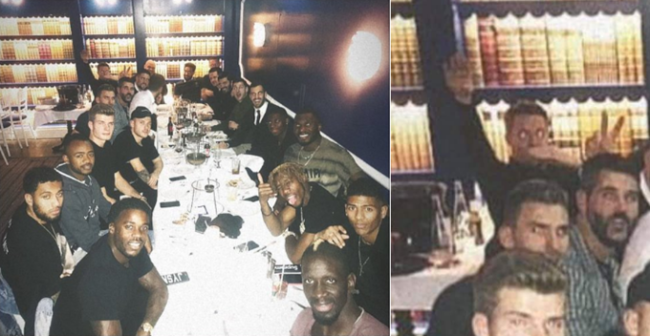 Back in early January, Hennessey was photographed making what appeared to be a decidedly iffy gesture during a Crystal Palace team dinner. The incident was subject to investigation but the charge was found not proven earlier this month by an independent regulatory commission. 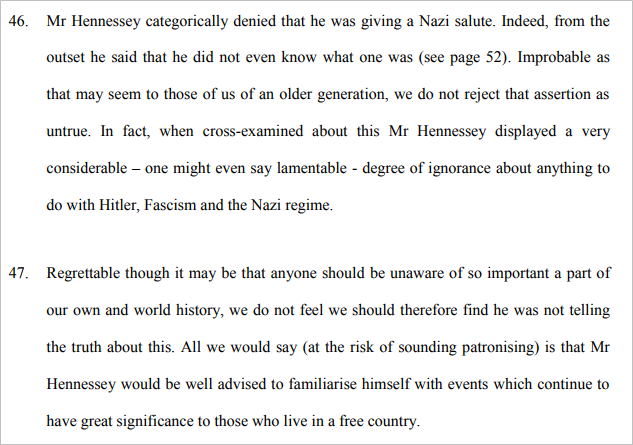 Mr Hennessey displayed a considerable – nay, lamentable – degree of ignorance. Now there’s a shocker. In another little quirk of coincidence, the finding notes also reveal that the waiter who took the photograph was called ‘Mr Bussolini’, of all things. Ever get the feeling that the whole world is just one big nonsense? And typically adults know better than to shout indoors in public. Nobody was demanding his head- they could have saved enough face by accepting his story and then an apology and “voluntary” course, but instead we’ve got this farce. Perhaps we were supposed to laugh so much that we forget?